This kind of thing is always interesting: a comparison of US vs UK covers, via BookRiot. In general, I hear, US readers prefer the US covers and UK readers the UK covers, thus implying that marketing departments actually sort of know what they’re doing, sometimes. 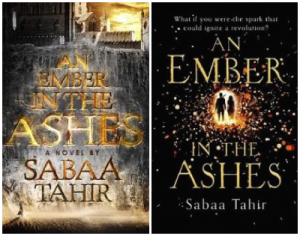 US cover on the left, UK on the right. Which do you prefer? Even though SF covers often bore me — a dust storm and no details — I strongly, strongly prefer the US cover in this case. The UK cover looks like it might almost belong on a romance. Very different, aren’t they? Again, I prefer the more artistic, maybe more literary, US cover. Just another sheep following the herd, that’s me! 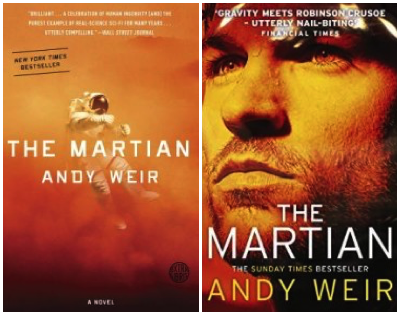 Of all the examples shown in the BookRiot post, I prefer the UK cover only once. If you’re interested, you can click through and see what you think. I’ve noticed that I often prefer UK covers to US covers, but then I’m also an Anglophile. Of the examples at Book Riot, I’m pretty evenly split. 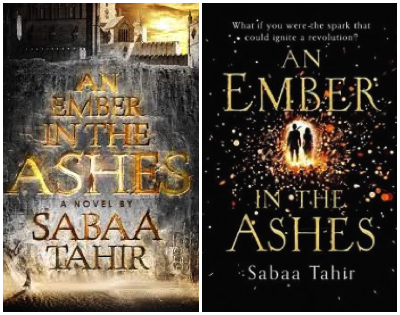 I like the UK cover on the first three and Ember in the Ashes, and the US cover on the other three.